4X4 AUSTRALIA has been THE magazine for camping and off-roading enthusiasts since 1979. 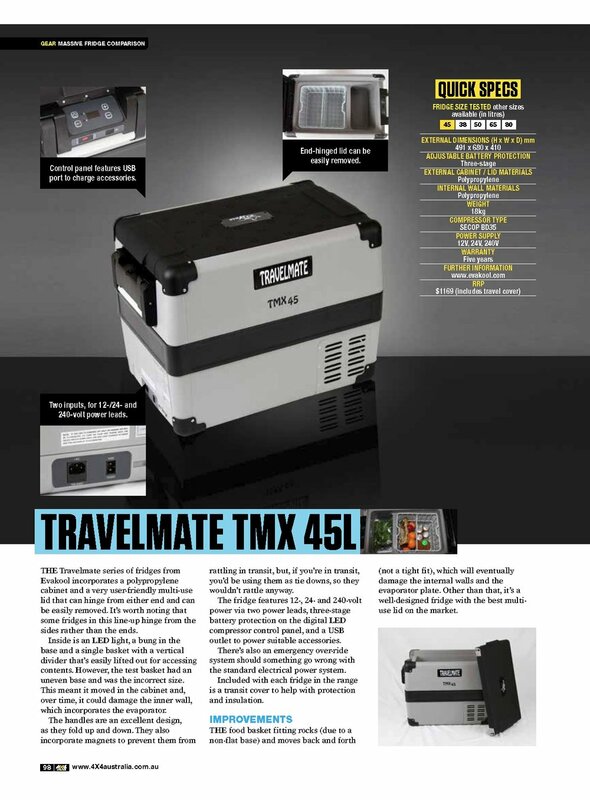 It continues to give reliable test reports on all-wheel drive vehicles, features outdoor and camping products and highlights remote destinations and expeditions. 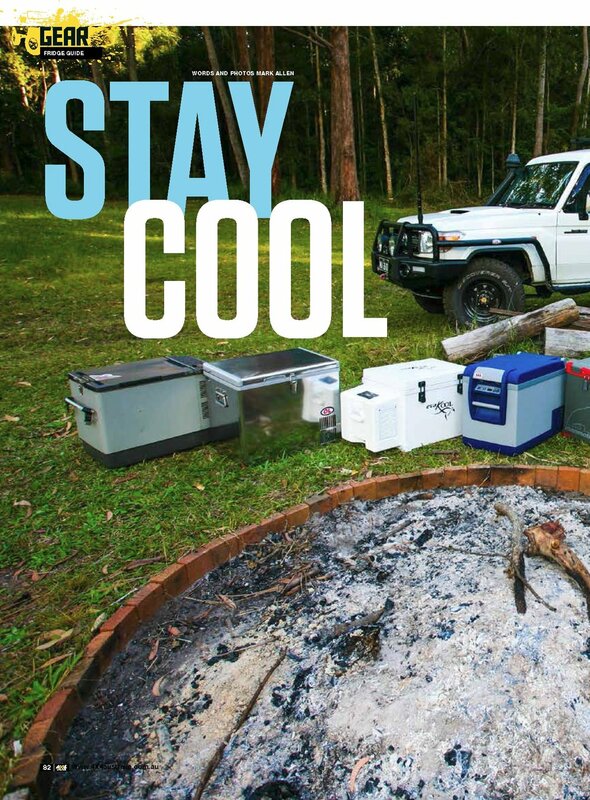 In August 2016, 4X4 AUSTRALIA ran a detailed, 124-hour test comparing eight compressor refrigerators: ARB 47L, Engel MT45, Evakool Fibreglass 47L, National Luna Weekender 52L, Opposite Lock 40L, Primus Mammoth 45L, Evakool TMX Travelmate 45L and Waeco CFX 40L. 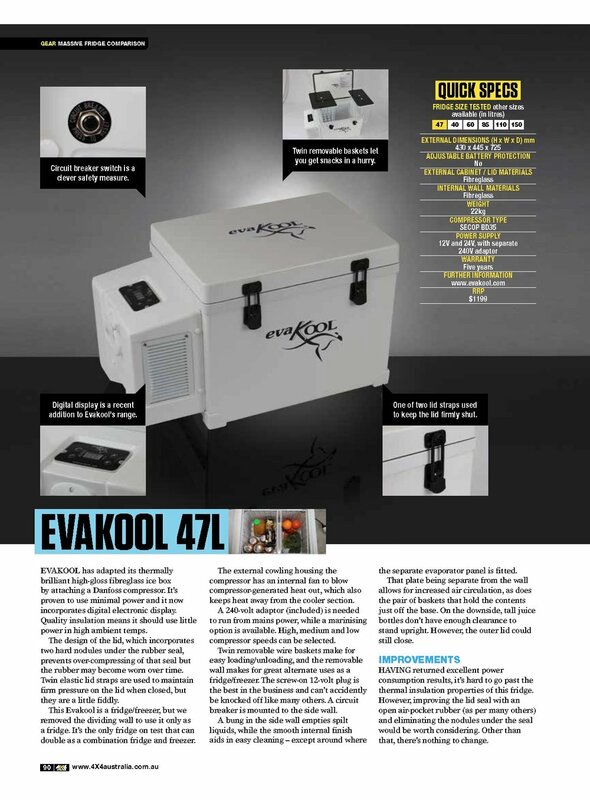 The winner of this intensive test was the SnoMaster-manufactured Opposite Lock cooler. This corresponds to the available SnoMaster SMDZ-CL40. Some small changes have been made to update and improve the fridge. 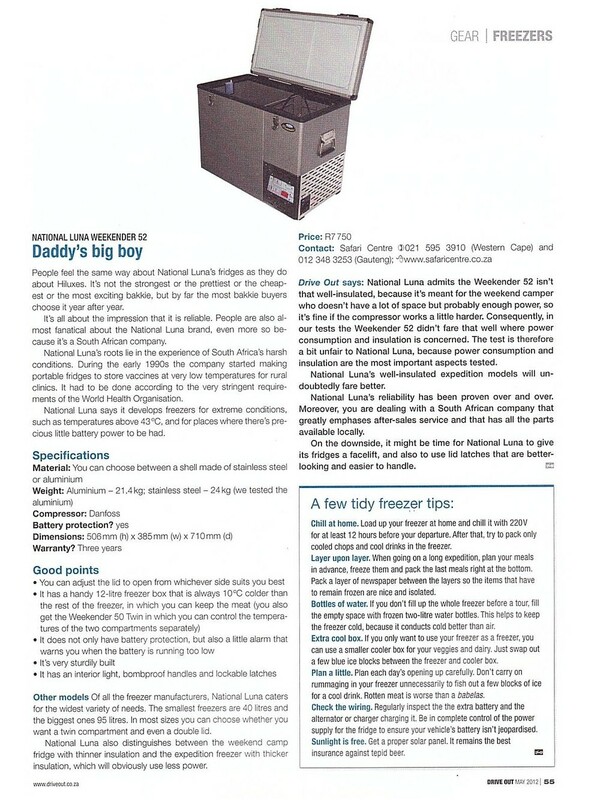 However, the compressor, condenser, evaporator, electronics and insulation components relevant to the performance of the fridge all remain identical. 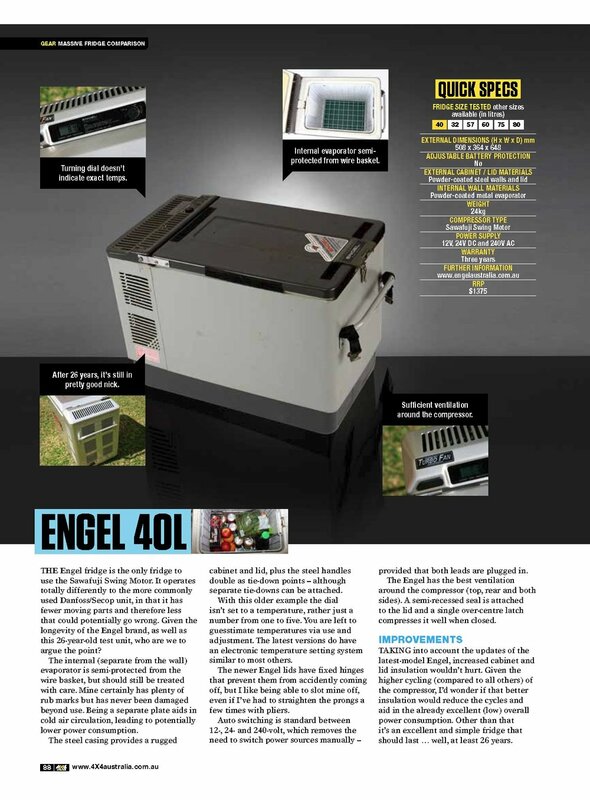 4X4 AUSTRALIA wrote this about the SnoMaster compressor: "The goal of the higher performance was to achieve faster cooling and shorter cycle times in combination with a good insulation of the cooler. 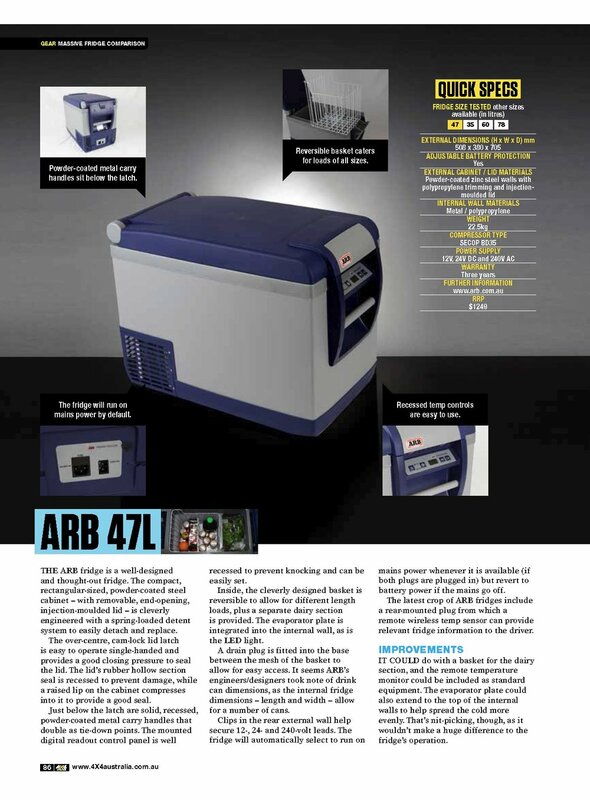 Our tests have confirmed that the compressor is outstanding." 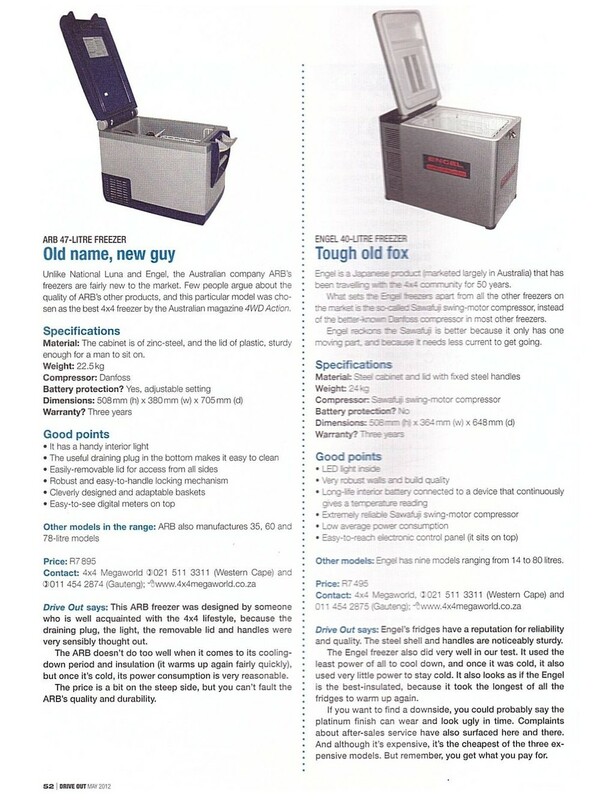 "The Opposite Lock stainless-steel unit from Opposite Lock was the outright winner at maintaining internal temperature while daytime temperatures peaked." After switching off the power supply, "it also maintained the lowest cabinet temps over the longest period", even without the normally included cover. 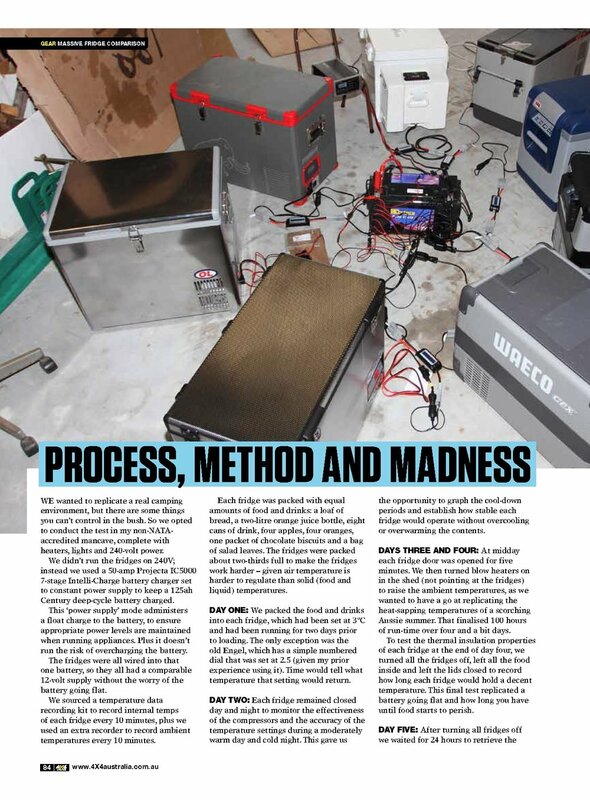 "The Opposite Lock SnoMaster compressor pulled cabinet temps down faster than all others." 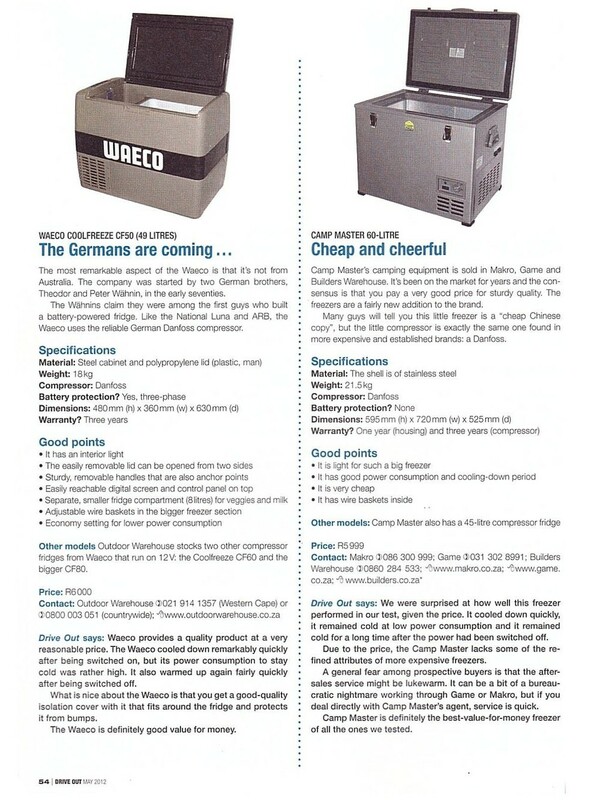 The test is worth reading and gives a lot of great tips for using the cooler efficiently in the vehicle. It is also interesting to note that the power consumption is more or less identical for all fridges and seems to be influenced more by the behavior of the user than by the technology itself. Opposite Lock is one of the great Australian accessory dealers for all-wheel drive vehicles with many branches. In addition to the world-famous brands, OL also sells many products under its own name. The Opposite Lock coolers are manufactured by SnoMaster and largely compare to the SnoMaster coolers also available in Germany. Only the material of the housing and the display is changed. 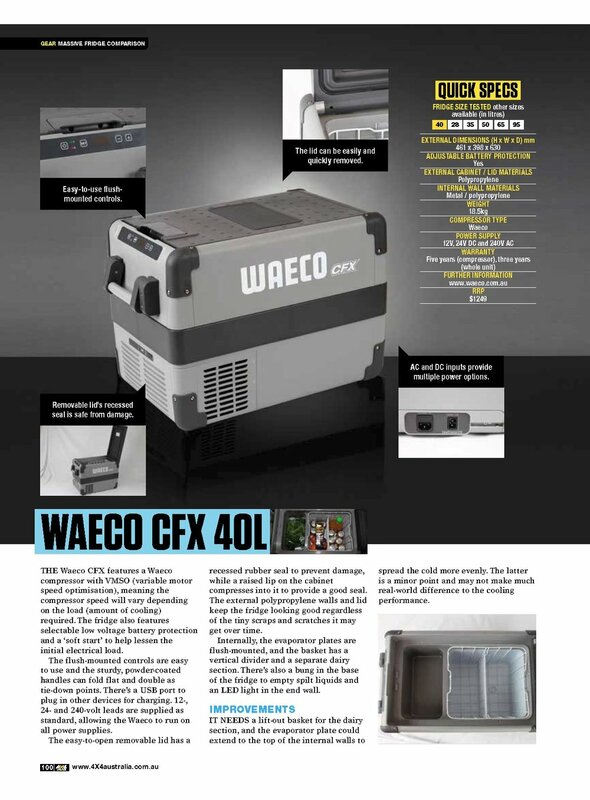 However, the compressor, condenser, evaporator, electronics and insulation components relevant to the performance of the cooler are the same. 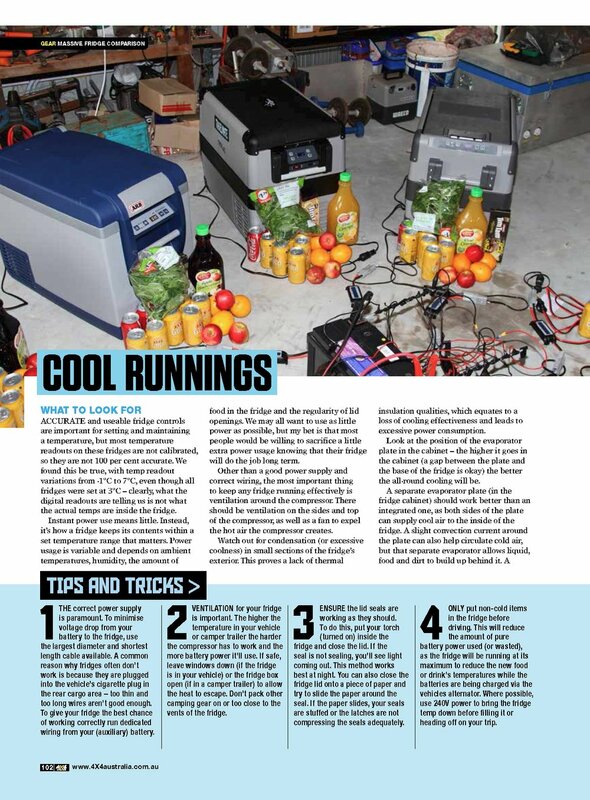 In May 2012, the South African off-road Reisemagazin Drive Out tested seven refrigerators comparing cooling performance and power consumption. 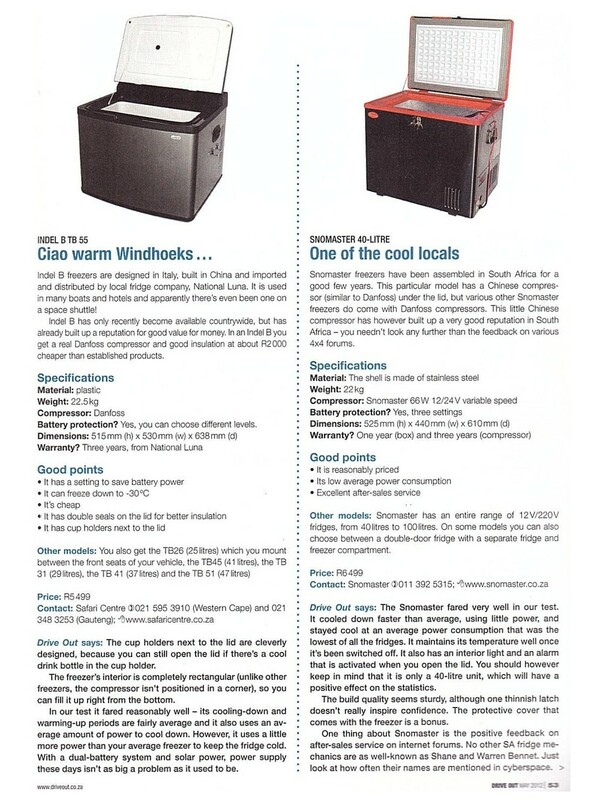 The SnoMaster SMDZ-CL40 received the best results. It cooled most rapidly to 0°C and consumed the least amount of electricity. Click on the picture to enlarge. The tested box corresponds to the current model SMDZ-CL40, except for the red lid edge.